+ Higher Food Solutions (FS) revenue driven by higher meal volumes across the Group. TFK Corp (inflight kitchen subsidiary based in Tokyo) experienced 10% higher y-o-y, despite FS revenue increasing by 2.7% y-o-y. + Higher Gateway Services (GS) revenue driven by both Aviation and Non-Aviation; and was the key driver to Group EBIT margin improvement. There was an increase in air cargo tonnage and flights handled. In addition, the cruise terminal at Marina Bay Cruise Centre Singapore (MBCCS) benefitted from higher ship calls and increased passengers handled. Air cargo is a high operating leverage business which benefited from the higher volumes (better flow through to bottom line), while the cruise centre turned around to profit. + 16.9% y-o-y higher Non-Aviation revenue to S$60.2 mn (13.7% of Group revenue). This was due to revenue growth from the Kunshan central kitchen and MBCCS; both of which have turned profitable (refer to further details overleaf). This was due to a soft quarter in Indonesia for PT CAS and PT JAS, but partially mitigated by existing and new associates/JVs. The outlook is positive. Passenger volumes are poised to benefit from urbanisation and demand for safe, high-quality food. 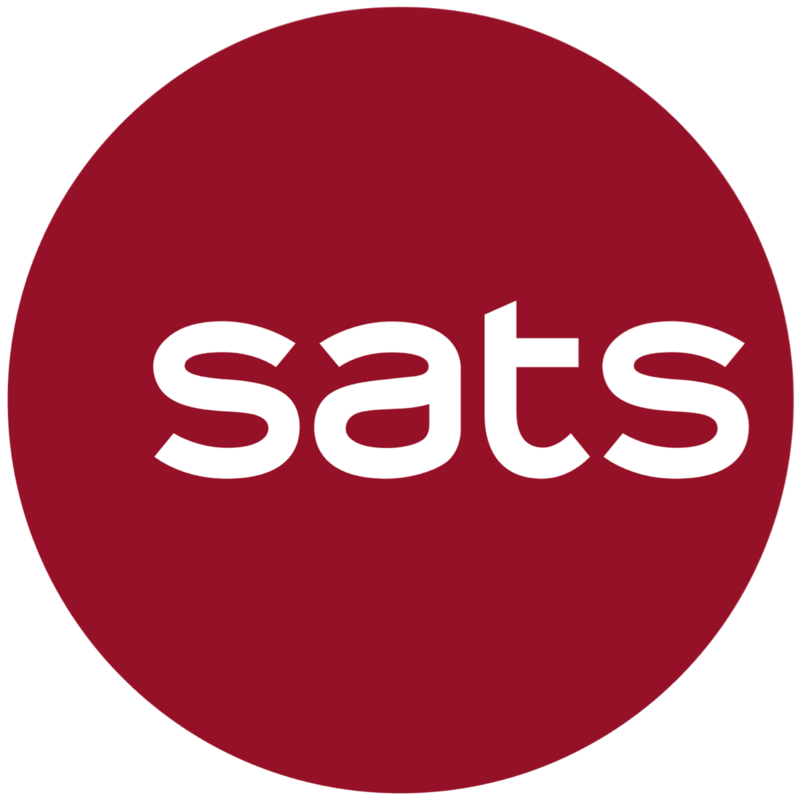 SATS has been investing in technology to boost productivity in anticipation of higher volumes, with staff cost (variable cost) progressively replaced by depreciation (fixed cost). Impact from a trade war that materialises is limited for now, but would be the key risk to earnings. Our target price gives an implied FY19e forward P/E multiple of 24.7 times.